It’s a common thing to have a mold build-up in or even outside of your building. The excess of which, however, could have some serious repercussions for health. If you feel there is constant moisture in some areas of your home or business, or that you have a part of your property flooded then you should have mold remediation services in a timely manner. We, at Rock Environmental, Inc., have the best, certified mold remediation professionals and technicians, who will ensure a swift restoration process for your property. In order to detect this condition in your building before it’s too late, there are some conditions that you should look for in your property. 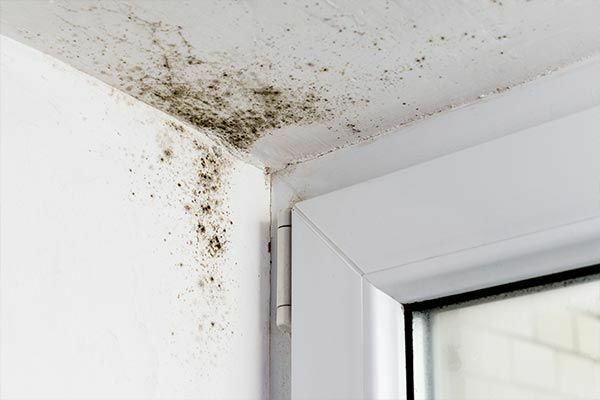 Mold builds up whenever an organic material combines with oxygen and water. It builds up by spores and when its growth is exacerbated it will likely cause health risks. The nature of mold up is that it can never be done away with. However, timely interventions could reduce and eliminate the health risks, provided you get professional Mold Remediation services at the right time. If you already have sinus issues, then the mold build-up could exacerbate your situation. It could also lead to upper respiratory issues, difficulty breathing, skin irritation and other allergic reactions. Learn more about the health risks of mold here. Through our mold remediation services, however, you can be assured of getting rid of the mold build-up. We use a list of methods to recover the damage from mold build-up such as chemicals and mold removal tools & equipment. Contact Rock Environmental, Inc. to get a cost effective and safety ensured process of mold remediation. Also ask us about asbestos testing and removal. You will be satisfied with our professional and technical conduct. We seek to satisfy our clients with our expertise, cost and time-efficacy and our cleanliness. We are an experienced service provider that has a list of resources at our disposal, through which we perform an array of remediation, demolition and restorative services.